More than 67% of households in Canada owned their home in 2016. You can be one of them! What is the amount of down-payment you would like to invest? How much would you be comfortable paying on a monthly basis? How long do you think you will live in the home? 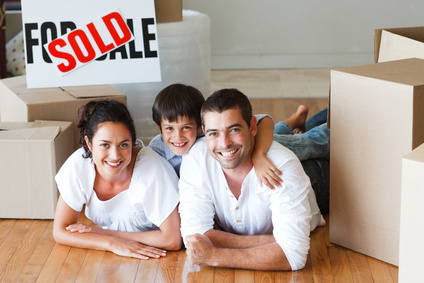 When are you planning on making the move into your new home? Use the Mortgage Calculator to help establish how much you can afford. Once you have established these preliminary boundaries, it would be beneficial to speak with me; together, we can determine the optimal mortgage amount and program best suited to your needs. This program allows you to withdraw up to $25,000 from your RRSP tax free to fund your purchase. If both you and your spouse qualify, you can each withdraw a total of $50,000. Make sure the money is in your RRSP for at least 90 days prior to closing. Qualifying: You or your spouse must not have owned a home in the last 5 years. You must have a signed agreement to purchase or build a home as your principal residence. Repaying: You have 15 years to repay the amount you “borrowed” from your RRSP. There are no interest charges. Each year, you have to repay 1/15, or more, of the total amount you withdrew. Learn about how the HBP works. You cannot have previously owned a home, or an interest in a home, anywhere in the world. Your spouse cannot have owned a home, or an interest in a home anywhere while they were your spouse. You may receive the refund at the time you register your home purchase. If not, you must apply for it no later than 18 months after the registration date. Learn more about how the LTT Refund works. You or your spouse must have acquired a qualifying home acquired after January 27, 2009. You cannot have lived in another home owned by you or your spouse in the year you buy your first home – or in any of the 4 preceding years. Learn more about how the HBTC works. This rebate is available to to all buyers, not just first timers. If you’re buying a new home (new build) you can receive a 36% rebate of the federal portion of the HST, to a maximum of $6,300 on a home costing less than $350,000. Homes costing more than this receive less of a rebate and homes over $450,000 do not qualify. However, you can also apply for a rebate of 75% on the Ontario portion of the HST up to a maximum of $24,000. For more information, check out the federal website and the provincial site. Make sure you also check if your municipal government also offers programs to help first-time home buyers!